Tattoo Blog » Meet Tommi! Tattoo Blog » Pictures » Meet Tommi! 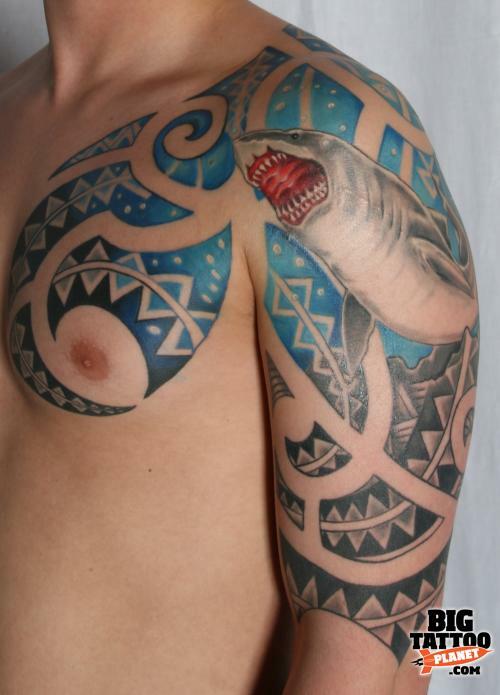 I hate to say it, but it really isn’t all that often that I come across a Polish tattoo artist. That definitely is not to say that there are no Polish tattoo artists out there, busting their asses day in and day out for their art, it’s just that I’ve heard next to nothing about the Polish tattoo scene. Most likely that’s my own fault, but hey, I’m trying and so today I wanted to shed a little light on a Polish tattoo artist who has recently been setting England on fire with his work. Tommi’s interest in tattoo really took off when he was a teenager. Up until that time he had been a daydreamer, the type of kid who was more interested in doodling or building things with clay than paying attention to what the teacher was talking about at school. He grew up in a small, and very traditional town in Poland – a place where tattooing was really neither understood or considered any sort of art form. He liked to draw things on his friends’ arms and legs and once his teenage years hit, Tommi’s curiosity in leaving art on people’s skin came to a head. The problem was that at the time, Poland was not really undergoing any sort of tattoo revolution and that meant that there was no information coming in regarding tattooing that could help get Tommi on to his feet. In the early stages of his growth as a tattoo artist, Tommi built his own tattoo machines from old toys that he owned. Despite talking to the very few other people he knew who were interested in tattoo and trading tricks and tips amongst themselves, Tommi knew that if he truly wanted to make it in the tattoo world that he would need to go somewhere where the tattoo culture was much larger. His dream had always been to go to England and in 2006, that dream became a reality. Four years later and Tommi is part of the team at Cheltenham, England’s No Regrets Tattoo. Not only that, but in these past four years, Tommi has managed to bag no less than 11 various awards for his tattoo work. He talks about heading back to Poland one day and opening up his own shop, he talks about spending some time in Japan and of course, he’s also grateful for the friends he has made and the time that he has spent in England. It’s hard to say where Tommi will end up in the coming years, but one thing is for certain: his tattoos will continue to stand out, making Tommi easy to spot no matter where in the world that he is.